On the walls at Jane Street, I spotted this work by an artist I had not heard of before, Haskell Coffin. 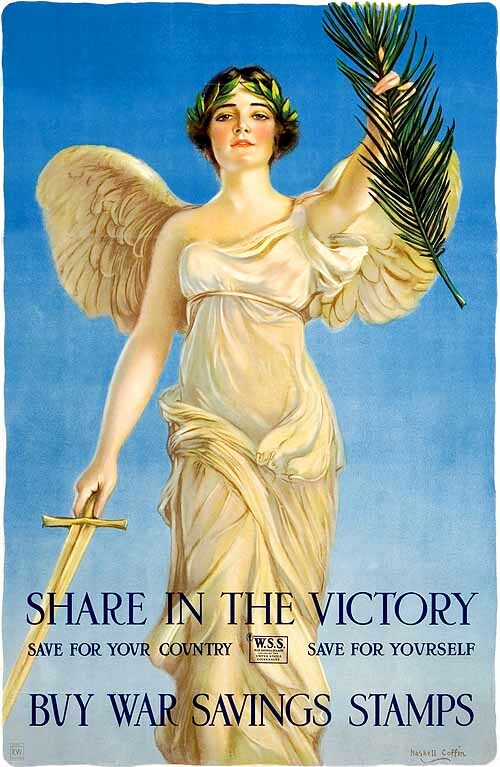 What are the symbols of the sword and the branch in her hand? Also, why does she have wings? Nike's Father, Pallas, gave her the blade. She used it to destroy evil (including War). The Palm Branch symbolizes Victory...and her Wings remind us that Victory...is fleeting.